I read Shri. 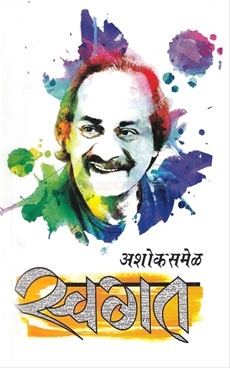 Ashok Samel's autobiography. Very well wrtten . With his modesty , he has endeavoured to unplug every facet of his life. His more than simple childhood, his service,his acumen of sports, particularly cricket, play-writer, actor, director, producer and in the process hardship he underwent and still come out successfully. His language is lucid and his actor son Sangram's is superb, on footprint of his worthy father .